DJI has unveiled today the new model in its lineup, the DJI Mavic Air. The Air will retail starting at $799, fitting nicely between the cheaper DJI Spark and the higher-end Mavic Pro. The new drone had already been leaked quite extensively, and it appears that the specs were pretty much spot-on. 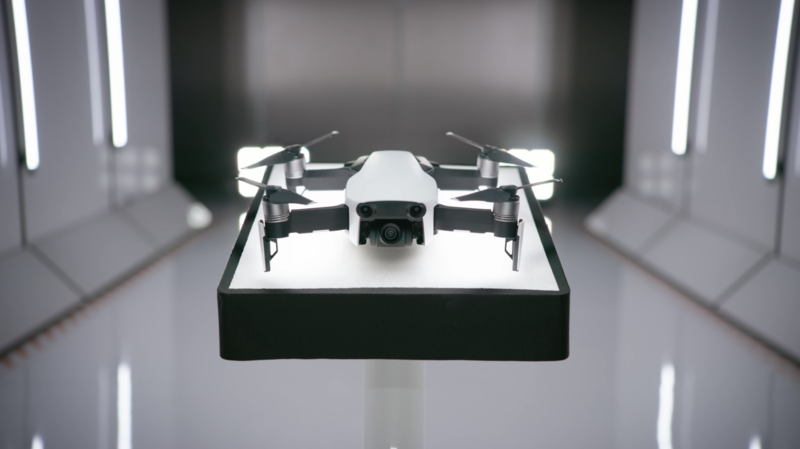 The Air will begin shipping on January 28 to consumers and features a more lightweight construction similar to the Spark and a 3-axis gimbal like the Mavic Pro.